Negotiation is tricky, even for the most experienced professionals. Whether dealing with external or internal customers, suppliers or contractors – negotiation can be a minefield, with relationships, egos and finances at stake. Neuroscience sheds light on how certain negotiating behaviours unintentionally result in alienating the other side. Get hands-on experience and gain the skills and confidence to avoid soured relationships hitting your bottom line! Join internationally acclaimed speaker, Tom Flatau, to explore new ways to generate extra money from existing clients, win new accounts, get better deals from suppliers and create long-term value by building better relationships. 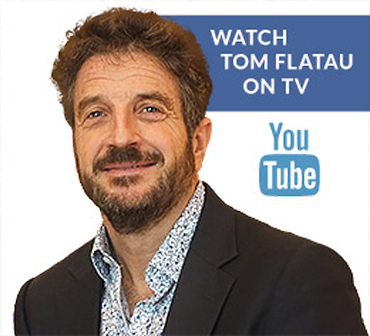 International speaker and consultant Tom Flatau empowers individuals and transforms futures by challenging and changing mindsets. Tom is regularly invited to deliver his internationally acclaimed seminars and programmes across the globe on a number of specialist topics, including Leadership, Coaching, Sales, Negotiation and Employee Engagement. If you are interested in Tom speaking exclusively to your audience then please contact us for more information. An enjoyable, lively and emotive course that encourages thought and application in how you can really improve your negotiation skills to the benefit of not just yourself but also your client! The session delivered by Tom was head & shoulders above everyone else! Tom's TWI workshop on negotiation skills remains one of the most consistently useful touchpoints that I actively refer back to still, both in my own working practise and in passing on knowledge to my own team.